With a reinforced housing convenient Quick Change Battery Hatch and advanced programming the Micro laser system is now better. Less than an inch in length and weighing only half an ounce Micro II is remarkably small yet delivers the strength and durability necessary to withstand the shock of repetitive recoil while holding zero round after round. Easily installed on any Picatinny or Weaver rail the contoured profile of the Micro II wont snag when holstered or carried in a bag pocket or on a belt. 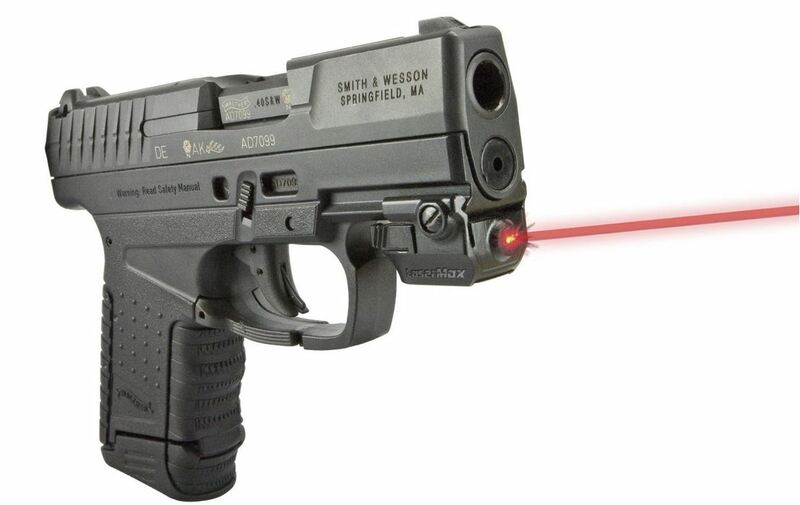 Micro IIs bright red aiming point gets you on target fast and with the smallest footprint of any LaserMax it fits more pistols than any other rail mounted laser offered today. Boasting over 5 hours of battery life the Micro II features an automatic battery preservation mode that turns the laser off after 10 minutes safeguarding against unintentional battery drain. An ambidextrous switch enables both left and right handed shooters to activate the laser with ease. Adjustable windage and elevation allows for precise targeting and the laser is user programmable for a steady or high visibility pulsed laser mode.